When it gets too hot or cold in a room, the first thing people do is head for the thermostat. Every time that dial is turned, it costs money. 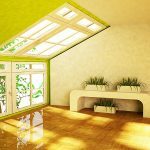 Most of us consider our windows to be a source of light and living space awareness, but give little thought to how a window’s insulation value may be affecting our bottom line… until we get the monthly utility bill. 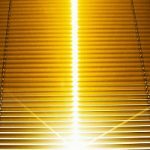 In addition to their influence on your heating and cooling costs, windows can also let in harmful UV rays if they are old or unfiltered. 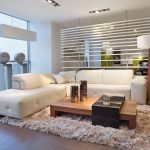 Long term exposure to UV rays can promote skin related health issues and cause the premature fading and deterioration of household and office furnishings. While it may seem that the only recourse when faced with this situation is to replace your windows, it might surprise you to know that there is another cost effective and performance enhancing way to address the issue. Ecolux is a Dual-action, low-emissivity (low-e) window film that keeps heat out, or in, depending on the time of year. This low-e coating from Solar Gard ensures that you get the most out of your windows without having to replace them! Unlike many other window treatment products that can lower visibility, Ecolux is able to keep light transmission and visibility at or near the levels you are used to— while keeping out over 99% of all harmful UV rays. The combined performance of keeping your rooms “Comfort Zone” regulated, bright, and safe from UV exposure promotes a sense of ease for hotel guests, patients, employees and families. Call Pacific Window Tinting to get more information on how Ecolux can protect your home and pocket book!